The high-capacity urban electric city bus has become an important development direction of the electric car and public transport in the world. The noise and vibration of the electric bus have a great influence on the comfort of passengers. The problem of the noise and vibration of the electric bus in high load condition, such as starting and accelerating, is serious. To analyze the electromagnetic noise of the electric city bus’s permanent-magnet motor at the start and acceleration, and suggest a method for the noise control of the electric buses. Firstly, the electromagnetic force characteristic of permanent magnet motor used in electric bus is calculated and analyzed. Then, the finite element method is used to analyze the natural mode of the permanent magnet motor structure of this kind of pure electric bus. The influence of stator choke ring on the natural mode of stator core and motor housing and end cover on the natural mode of stator core are, respectively, analyzed. 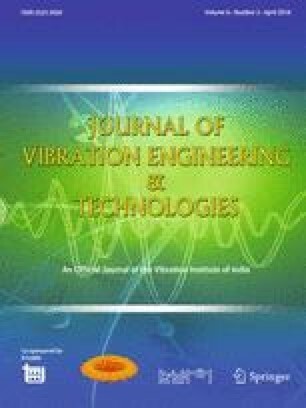 Finally, by changing the size and number of permanent magnets to suppress electromagnetic wave noise, the structural optimization of reducing electromagnetic resonance is carried out. The vibration characteristics of the motor in the range of its operating speed are determined. After structural optimization and improvement, the electromagnetic noise of the motor is suppressed. The amplitude of electromagnetic force wave in full load condition is large; the amplitude of electromagnetic force wave is affected by the order of tooth harmonic and magnetic field saturation level; the lower highest frequency of electromagnetic force wave, the greater possibility of the appearance of electromagnetic resonance on the motor. Thickness of the motor shell and end cover will affect the natural frequency of the permanent magnet motor on electric bus, thereby affecting electromagnetic resonance. By optimizing the structure of motor iron core, we can reduce the amplitude of the electromagnetic wave and inhibit electromagnetic noise; Thickening motor shell and end cover can effectively increase the natural frequency of the motor structure and reduce the possibility of the appearance of electromagnetic resonance, thereby decreasing electromagnetic noise.